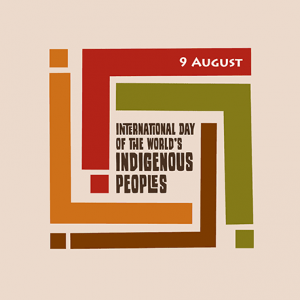 The Iwokrama International Centre extends warm greetings on the occasion of International Day of the World’s Indigenous Peoples 2018 to all Guyanese, and especially the Indigenous Peoples of Guyana and around the world. We are pleased to commemorate the observances this year by releasing a video recording of the participatory three dimensional mapping (P3DM) exercises recently conducted by the village of Fair View in the Iwokrama Forest. The three dimensional (3D) map of Fair View builds on community resources maps done by the residents and Iwokrama, and was refined through the knowledge of the elders. The 3D model represents all the important features of Fair View which covers 22,000Km2, including the residential, protection, harvesting, wells and other areas. Iwokrama is grateful to the Technical Centre for Agriculture and Rural Cooperation (CTA) and Tropenbos International Suriname (TBI Suriname) for their technical advice and assistance, and to Esso Exploration and Production Guyana Limited (EEPGL) for financial support. The video was done through the expertise of Guyanese Alex Arjoon and Reel Guyana. Fair View now holds the distinction of being the first community in Guyana with a 3D model of all its titled land. Happy International Day of the World’s Indigenous Peoples from the Iwokrama International Centre for Rain Forest Conservation and Development!